Originally published 9/18/2017. Updated 10/2/2018. You don’t want to admit it, but you’re totally excited for these five fall dates. Grab the flannel and light jackets, because it’s fall in the Bus. But just because the temps start dropping and the air gets a bit crisper, it doesn’t mean you have to retreat indoors and hibernate until Spring. There are tons of things to get into this time of year in Columbus, especially if you want to get closer to that special someone. Granted, a lot of them are kind of kitsch and maybe even a bit corny, but let’s be honest, you love them just the same. Here are the five best cliche autumn dates that you know you’re going to want to do, no matter how cheesy they are. Yeah, haunted houses are a dime a dozen and maybe even a little cornball when it comes down to it, but that isn’t going to stop you from being all psyched to go through one come fall. You can tell yourself you’re ready for all those cheap thrills and random murder clowns popping out of every corner, but they’re going to scare the bejesus out of you every time. Columbus has a bunch of haunted stand-bys like The Haunted Hoochie and new haunts like The 13th Floor. Or if the fake stuff doesn’t do it for you, try doing a tour of the many neighborhoods and houses of Columbus that are supposed to be actually haunted with the Columbus Landmarks Foundation or Columbus Ghost Tours. 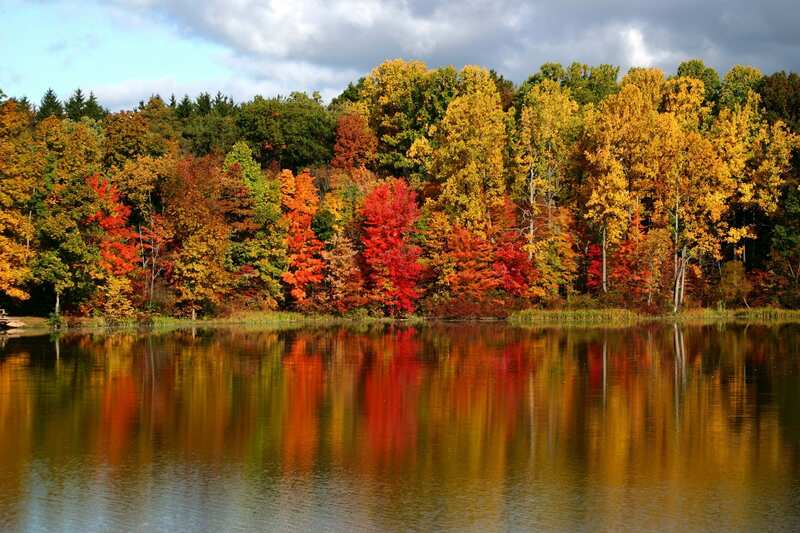 Ohio has some truly gorgeous autumn foliage and no shortage of places to marvel at its charm and beauty. Pack a lunch and grab some warm apple cider and head out to any local metro park to enjoy watching the leaves shift from greens and yellows to ambers and reds. For some truly majestic vistas of Ohio’s natural beauty, head over to the Dawes Arboretum in Newark, Ohio. They’ve been known to host several date night events with local breweries and wineries, making it the perfect fall time activity to spend with that significant other. Get a bird’s eye view of the city and witness Columbus as you’ve never seen it before. There are actually several hot air balloon companies around the city to choose from including Columbus Hot Air Balloon and Columbus Aeronauts. Just try to imagine being up in the skies on a beautiful October day, unless of course, you’re deathly afraid of heights, in which case I’d recommend you skip out on this one. Still, hot air balloons are a wonderfully romantic and super cheesy date idea that you’re going to love regardless. Whether it’s Studio 35, Drexel, or the Gateway Film Center, their sure to have some scary movie fest coming up around this time of year. If you’re one that loves a good fright while squeezing the person next to you and clutching the popcorn for dear life, then the fall is pretty much your wheelhouse. If you’re feeling especially brave, try the Nightmares Film Festival or Shock Around The Clock coming up in October. What says romance better than strolling hand in hand surrounded by corn, pumpkins, and hot apple cider? 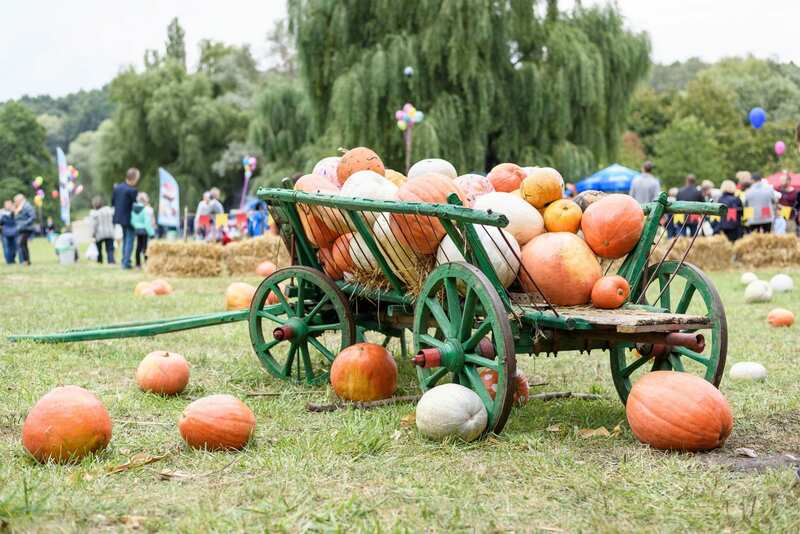 Not all of the fests that take place this time of year are specifically harvest-themed, but that doesn’t make them any less fun. Make sure you don’t miss out on Highball Halloween, The Circleville Pumpkin Festival, or Franklinton’s Festival For Good. They’re perfect date nights for anyone wanting to get out and about and let loose.